FREE AOM Day Marketing kit. 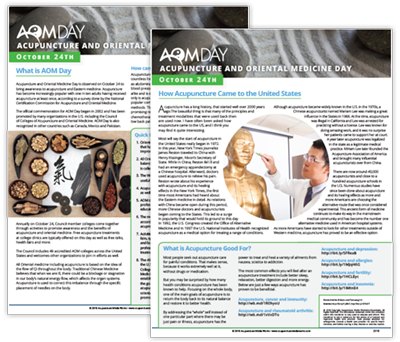 Download your FREE AOM Day Marketing Kit and spread the word about the power of acupuncture and Traditional Chinese Medicine. 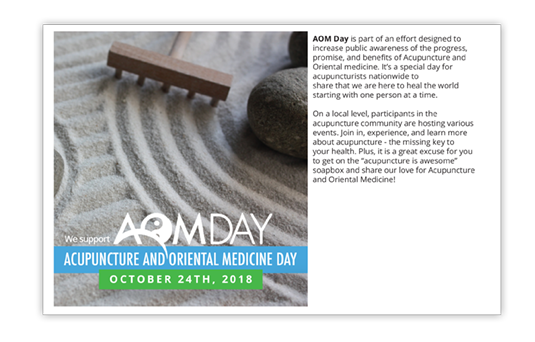 October 24th is Acupuncture and Oriental Medicine Day. It’s part of an effort to raise public awareness to the progress, promise and benefits of acupuncture and oriental medicine. It gives acupuncturists the opportunity to spread the message of good health through acupuncture care, spread the news that acupuncture works and attract new clients along the way! 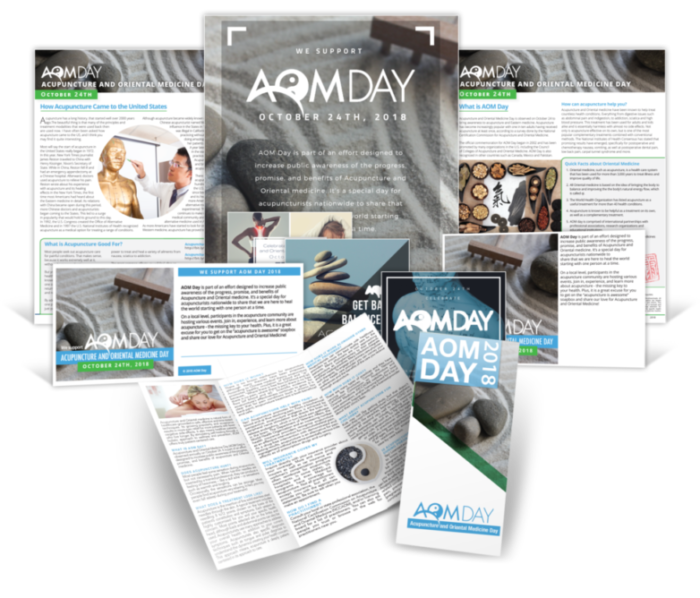 To help you prepare for the once-a-year opportunity of AOM Day, Acupuncture Media Works is offering a FREE AOM Day Marketing Kit! Spread the message of good health through acupuncture care. 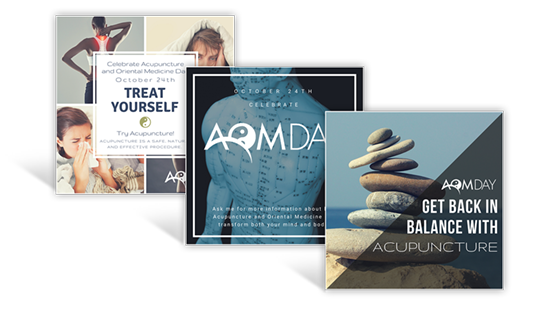 With brochure acupuncturists can spread the news that acupuncture works and attract new clients along the way! 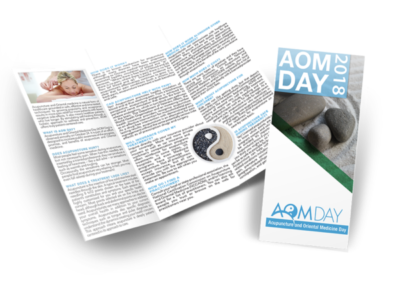 Easily spark interest about AOM Day by hanging this AOM Day awareness poster in and around your clinic. 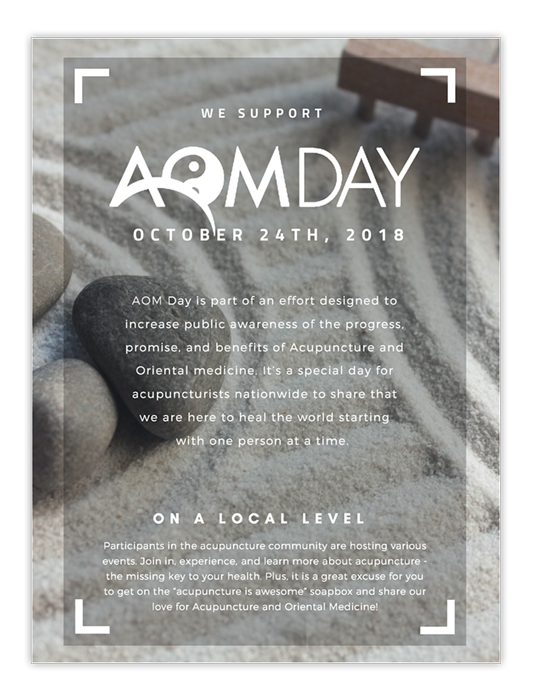 Share these meme through your social media pages and spread the word about AOM Day online.